Kathmandu is hosting the XII World Congress on Mountain Medicine 21-24 November, and the location is indeed appropriate considering that it was in the Nepal Himalaya that modern mountain medicine made great advances in altitude illness. Acute altitude illness requires two things in order to happen: 1) a person not adjusted to high altitude, and 2) going high quickly, faster than the body has time to adjust. Before the advent of modern transportation, no one could travel high enough fast enough to get into much trouble. Altitude illness is therefore mainly a problem of modern times. 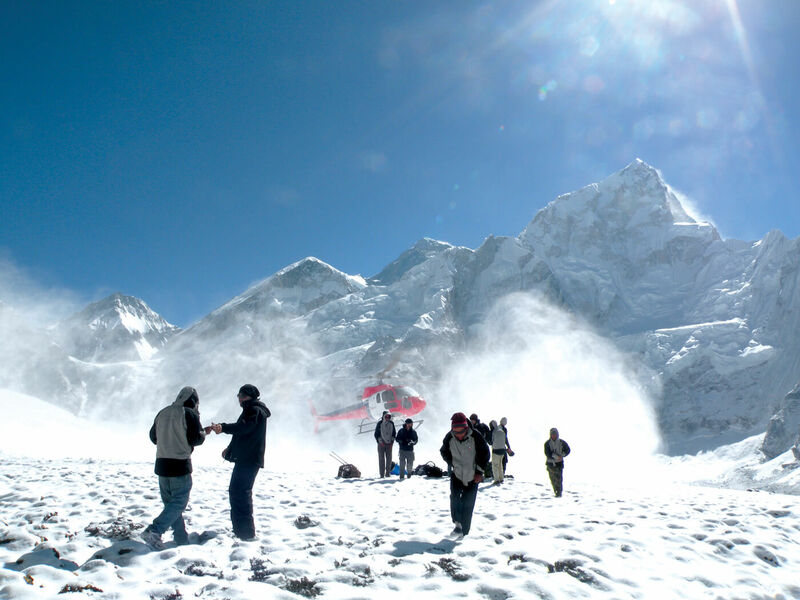 The largest experience with altitude illness prior to the advent of trekking in Nepal was when the Indian Army, in the Sino-Indian war of 1962, was airlifted rapidly to over 5,000 m.
Although foreigners started walking around Nepal in the early 1950’s, larger scale trekking only began in the late 1960’s. 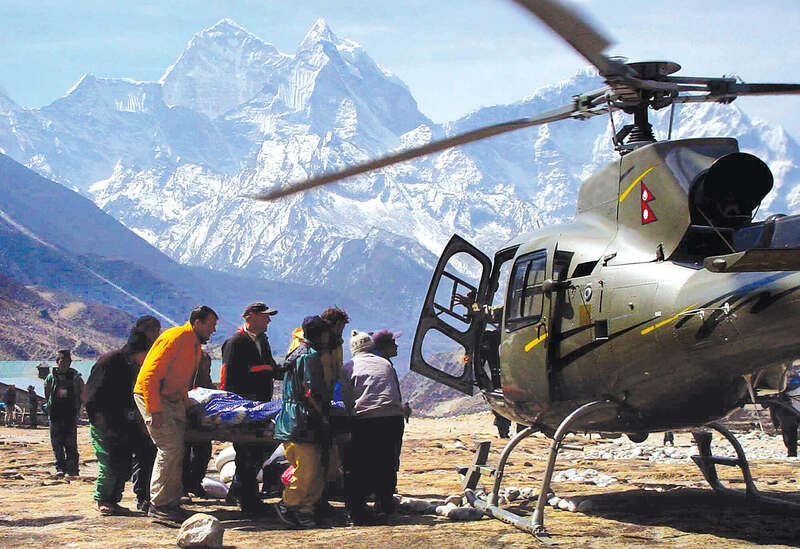 Trekkers, unaware of the risks of ascending rapidly, began to die on their treks. The number of evacuations and deaths became alarming to the fledgling trekking industry and the few agencies in operation at that time banded together to start the Himalayan Rescue Association (HRA) in 1973, organised by a former Peace Corps Volunteer named John Skow. John Dickinson, who began work at the old Shanta Bhawan Hospital in Patan in 1969, became the receiving physician for severe cases of altitude illness. 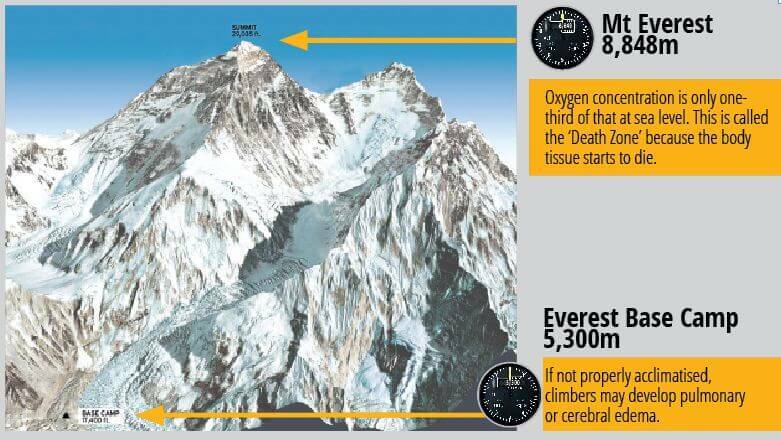 He and Dr Bond, the pathologist, published the first series of autopsy findings in trekkers dying from altitude illness. This work brought the world’s attention to the problem of altitude illness in Nepal, a rather mysterious condition that stuck down perfectly healthy young people venturing into thin air. Dickinson became the first medical advisor to the HRA. Under the leadership of Tek Chandra Pokharel, Mike Cheney, Dawa Norbu Sherpa and Robert Reiffel in the early 1970’s, the HRA staffed an aid post in the village of Pheriche, at 4,300 m on the path to Everest. When I first passed through Pheriche in 1974, the post was staffed by an American nurse and a famous climbing Sherpa, Tashi. Wanting to stay in Nepal, I volunteered for the next season, and many seasons after that. I became the medical director of the HRA until 1983 when David Shlim (see his contribution alongside) became the medical director after he moved to Nepal to run the CIWEC Clinic. In Pheriche, I conducted the first studies of altitude illness in trekkers. We ended up suggesting a schedule that included rest days on the ascent to Kala Pattar. This new schedule cut the incidence of altitude illness in half but did not completely eliminate it. We demonstrated the value of Diamox (acetazolamide) in preventing altitude illness. A 1977 paper in the Lancet was the first large study of altitude illness in a civilian population, and put Pheriche on the world map as a center for altitude illness research. The HRA now operates the clinic in Pheriche and a clinic in Manang, on the Annapurna trek. These clinics have been, and still remain, the best clinical experience a doctor can get in diagnosing and treating altitude illness. The HRA is currently operated by an all-Nepali board of directors with Buddha Basnyat, a former student of Dickinson’s, as medical director. Nepalis are not immune to the effects of altitude illness. Trekking guides, porters, and climbers have all suffered, and all too frequently, died of altitude illness in the course of their jobs. Basnyat was the first to study the risk of altitude illness in Hindu pilgrims to high altitude sites in Nepal. Just because they are Nepali and have the Himalaya in their backyard does not offer immunity to the effects of low oxygen at altitude. Pilgrims to events such as the Janai Purnima Festival are generally low-altitude people who ascend far too rapidly, such as from Dhunche at 1,960m to Gosainkund Lake at 4,380m, in only 48 hours instead of a safe 4 days. The HRA provides a temporary health camp at the lake for pilgrims and treats many cases of severe altitude illness, preventing deaths and difficult evacuations. 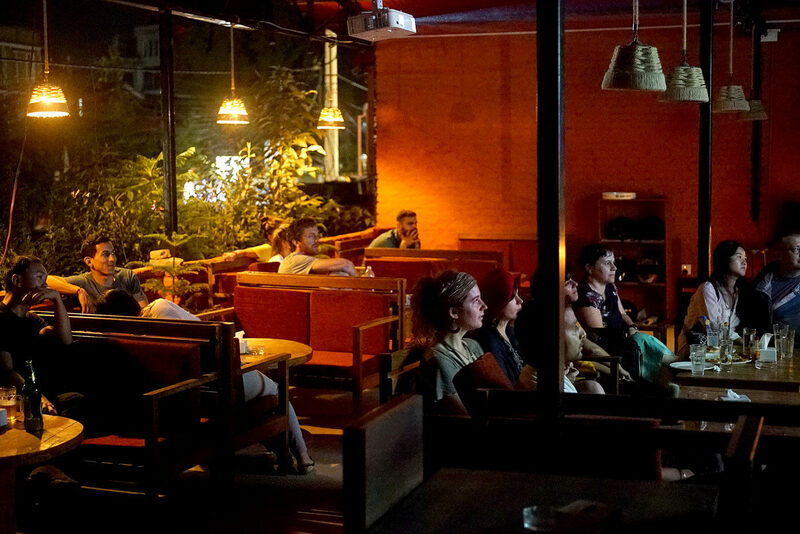 The most auspicious development in mountain medicine in Nepal is the large cadre of young Nepali physicians who are now intensely interested in high-altitude medicine. Mentored by Basnyat, these young doctors are carrying on the tradition of quality care of victims of altitude illness, research on causes and treatments, and developing systems of administering care to diverse populations. The Nepal Himalaya, and the HRA, is still a backbone of modern mountain medicine. Peter Hackett is a world renowned high altitude expert and a leading authority on altitude illness, high altitude climbing, and the effects of altitude on people living and working in the mountains.